Home » Events » BOOK SIGNINGS! Linda Oliver, author of CODP’s new release, I’d Rather Be Me, has two book signing coming up on Saturday, March 4th! 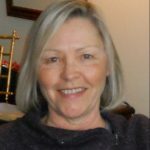 Linda will be at Kent Bookstore, 15 William St. N. in Lindsay, ON from noon until 2 p.m., and at Trade Winds Toys, 110 Kent St. W. Lindsay, ON from 3 – 5 p.m personally signing copies of her new children’s book! 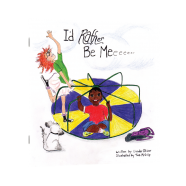 I’d Rather Be Me is a fun book with a powerful message that will be enjoyed again and again by little book lovers! Not in the Lindsey area or can’t make the signings? You can get your copies of I’d Rather Be Me in the Cavern of Dreams Publishing online store!